ANNUAL SERVICE COMPLETE, NEW WIPER BLADES. Recent Trade in. Car Fax verified. Special 0.9% financing available. 2/40 extended warranty also available. Very well equipped with LEATHER PACKAGE, TECHNOLOGY PACKAGE, ADAPTIVE CRUISE CONTROL, BLIND SPOT MONITORING, SUNROOF, HEATED SEATS, PARKING SENSORS, MANUAL TRANSMISSION, and much more! At Volkswagen Downtown Toronto, all of our pre- owned vehicles come CERTIFIED (112 inspection report) and Car Fax history report available. See store for more details. 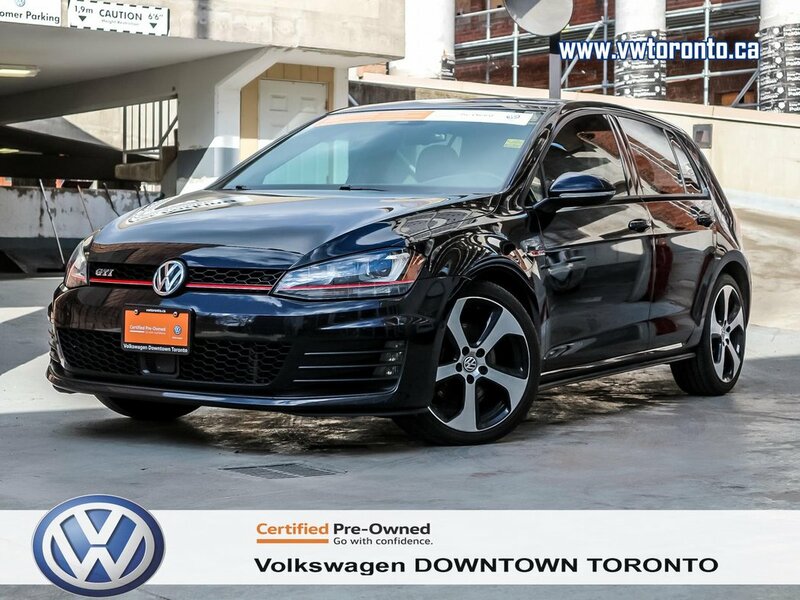 BUY WITH CONFIDENCE at Volkswagen Downtown Toronto. Our knowledgeable staff can assist you in purchasing the vehicle that best suits your expectations and budget. Book a test drive today! Volkswagen Downtown Toronto is conveniently located at 550 Adelaide St E, just north of the Distillery District, and right off the DVP! Yes! Please sign me up to receive e-mails and other communications from Volkswagen Downtown Toronto. And please send me information on products, promotions and other related information.